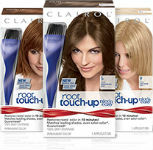 Get a free Clairol Root Touch-Up by Nice ‘n Easy. Sign up by clicking button that states “PIDE TU CUPON PARA UNA CAJA GRATIS!”. The site is in Spanish. Use Google translate to help you with the form.